Hitherto, German foreign and security policy was marked either by a close transatlantic cooperation, or by a counter balance towards a stronger European position. In the past four years, German foreign policy was lost in crisis management, completely dominated by the Euro Crisis resulting in a priority shift towards monetary crisis remedies, leaving foreign policy fields on the side-line. 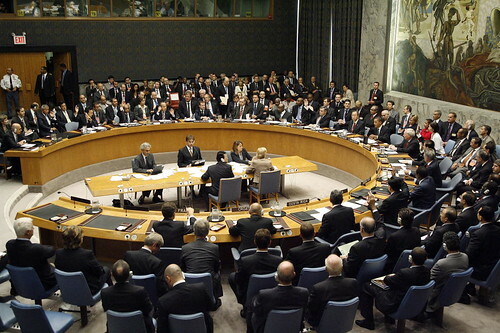 Particularly, security policy was marked by self-limiting abstention in the UN Security Council during the 2011 Libyan War. The Syrian Civil War caused a direct follow-up to these developments; a reluctance to provide Patriot Missiles for Turkey for border protection is another dead-give-away for Germany’s confusing foreign and security policy strategy. Summing up recent developments in German foreign and security policy, it is a constant downsizing procedure: the suspension of compulsory military service, a dramatic cut of military personnel, plans to withdraw from Afghanistan by the end of 2014, and the overall reluctance to be directly involved in military operations. This causes a severe lack of global self-confidence and creates an anti-military strategy. In the meantime, Germany increases arms sales to Saudi Arabia and Israel, causing a strategy shift towards indirect agenda and contribution setting though. Chancellor Angela Merkel defends this strategy as an “equal security policy tool”. However, this ignores the fact that mere arms sales do not replace a direct security policy intervention with troop deployment and mandate implementations. Every German government coalition has entitled the foreign policy department to the smaller coalition partner. In case of a conservative government, it was the liberal party to provide the foreign minister, which succeeded to place Germany as a respected and reliable international partner, specifically in terms of transatlantic relations and soft policy agenda setting. The Red-Green coalition, unlike its conservative-liberal predecessors, has boosted Germany’s international self-confidence by rejecting obvious security policy mishaps of the Bush-Administration in the 2003 Iraq crisis. Despite the critics that this policy has led into international isolation, the opposite was the fact. Germany’s foreign policy under Schröder/Fischer has prevented Germany from catastrophic consequences of a foreign and security policy adventure as it happened in Iraq. This brief transatlantic “hick-up” provided the opportunity to mature in international affairs and diplomacy and to enhance international self-confidence. The current CDU/CSU-FDP coalition does not continue its predecessors’ heritage. Instead of burden sharing and cooperation between the two coalition partners, Merkel has completely taken charge of all foreign policy agenda setting and decision making, specifically the ones directly related to the Euro Crisis, declaring them as a matter of personal top priority. A dramatic result, the German foreign ministry has lost nearly all foreign policy making competencies, it has been degenerated to a mere administrative tool of the chancellery, foreign minister Guido Westerwelle became Merkel’s executive clerk. The gradual demotion of the foreign ministry and its changed priorities strategies caused a lack of clear and understandable international positioning. Germany’s abstention in the Libyan war in 2011 and its very recent abstention regarding Palestine create an apprehension that Germany is not able – or not even willing – to take any foreign policy position at all. If Germany wants to be treated as a respected international actor and if it wants to implement consistent foreign policy actions, it has to be brave and take clear positions. Bad foreign policy is not just marked by bad decisions or bad strategies, but above all by the pure absence of any foreign policy. As a result, Germany’s overall foreign policy remains vague and blurred, losing reputation, reliability, respect and above all sustainable predictability. Germany cannot afford this on-going abstention strategy, it has to take courageous steps and have the confidence to implement even unusual positions. In the case of Palestine, Germany is stuck between its traditionally close relationship to Israel and the unclear position towards the Palestine question per se. It is out of the question that any long-term unclear position will have disastrous effects. Oliver Krumme holds a MA in Advanced International Studies from the Diplomatic Academy of Vienna and is a Freelance Language Instructor and Blogger.